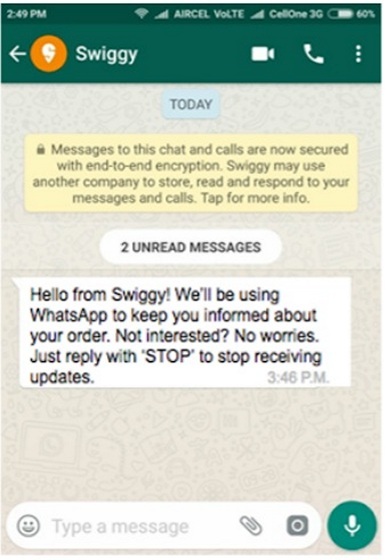 Swiggy is testing WhatsApp enterprise solution as a faster way to stay connected to its rapidly-growing customer-base, the company said in a statement today. 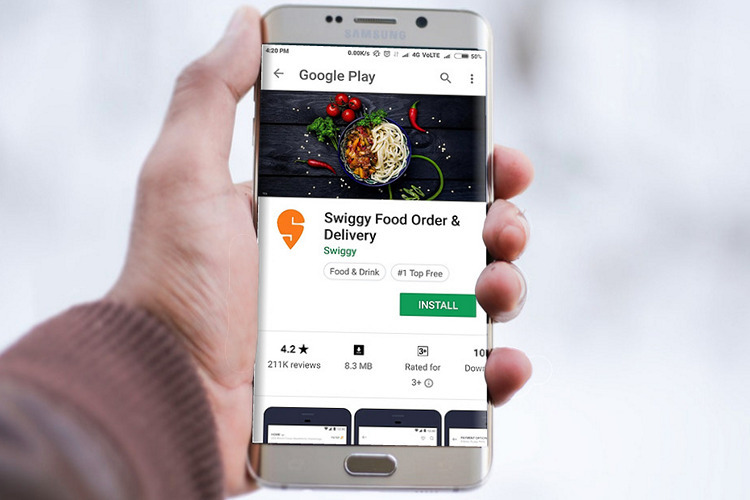 “Swiggy will appear in WhatsApp chat interfaces on consumers’ smartphones and will keep them abreast of their order status in real-time, providing seamless communications system,” the company said. 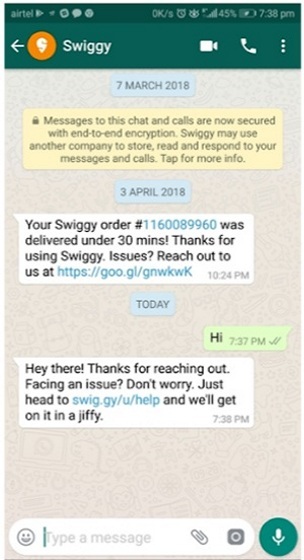 As part of the plan, Swiggy says it will start using WhatsApp to send updates to its customers about the status of their orders, payments and deliveries, but it doesn’t say whether it will also use the platform to send marketing messages about new products and services. Thankfully, though, customers unwilling to be bombarded with unsolicited WhatsApp messages will be able to opt out by replying with ‘STOP’ on the chat-thread. Customers opting out of WhatsApp correspondence will continue to be updated via traditional text messages (SMSes) as usual, as will those, who are not on WhatsApp. The company says that it is testing the service with select users before rolling it out universally in the coming weeks. Founded in 2014, Swiggy is one of the preeminent food-delivery services in the country, and competes with the likes of FoodPanda, Zomato and Uber Eats in an increasingly-crowded segment that has been growing exponentially in recent times. The company claims to be India’s largest food delivery platform with over 35,000 restaurant partners spread across 14 cities including, but not limited to, Delhi, Mumbai, Kolkata, Chennai, Hyderabad, Pune and more.